We're going to go out on a limb here and say the Snuggie is basically the American dream wrapped up in a two-sleeved blanket. It's a success story that goes to show no idea is too small, too menial, or too absurd. Anything, even a blanket-robe fusion, has the potential to become something major. 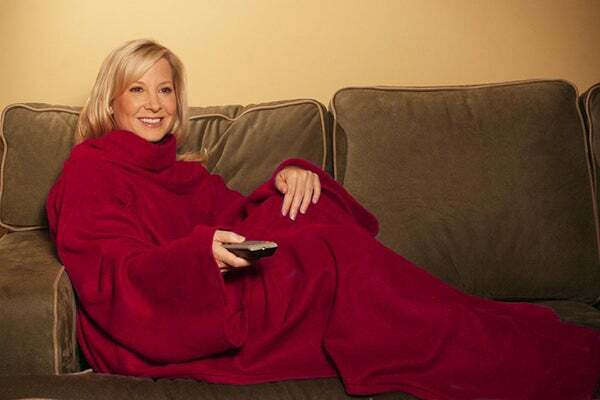 It's been five years since Allstar Products debuted the Snuggie, and despite all the rolled eyes and parodies that followed in its wake, enough people have believed in it for it to generate more than half a billion dollars in revenue. Now that's what we call a triumph. Since Scott Boilen, CEO of Allstar Products, added the Snuggie to his "As Seen on TV" oeuvre, the product has gone on to become the company's best-selling product, and helped build Allstar into the empire it is today. The Snuggie's secret to success is found in the Internet. According to Boilen, "It was the first product that really went viral, that really went mainstream like that." It's easy to see why after watching its sincerely comedic commercial — it has Internet meme written all over it. Allstar realized after the Snuggie took off, that in order to get products like Hot Buns and Magic Mesh to follow suit, they needed to plant a curiosity seed in television viewers. Since television ultimately loses money for the company, they strategically release infomercials with unique 1-800 numbers and web algorithms that track an item's profit. "If we build awareness to a certain level, we’ll sell through retail," Boilen explained. Photo: Courtesy of Allstar Products.